Screening questionnaires are useful in general practice settings, and may be used by general practice nurses (GPNs) to identify people who might be at risk of a range of conditions. Some screening tests may offer an opportunity to initiate difficult conversations with patients about lifestyle behaviours, or sensitive issues such as mental health. Screening questionnaires may also help to highlight those individuals who need further investigations or referral. 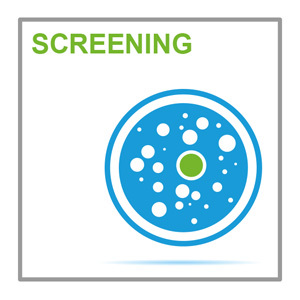 The ideal screening questionnaire should be cost-effective, and quick and easy to complete. It is also important that screening questionnaires are checked for validity and that relevant cut off points have been identified. This resource, consisting of five assessment questions at intermediate level, tests your knowledge of the use of screening questionnaires in general practice. Complete this resource, including the further reading and some or all of the suggested activities to obtain a certificate for one hour of continuing professional development to include in your revalidation portfolio. Write up your reflections, considering how the activities reflect the NMC Code, and add to your revalidation portfolio.